The NaNoWriMo participants are now under “starters orders” as they eagerly await, or not, the first of November to arrive when the challenges begins. 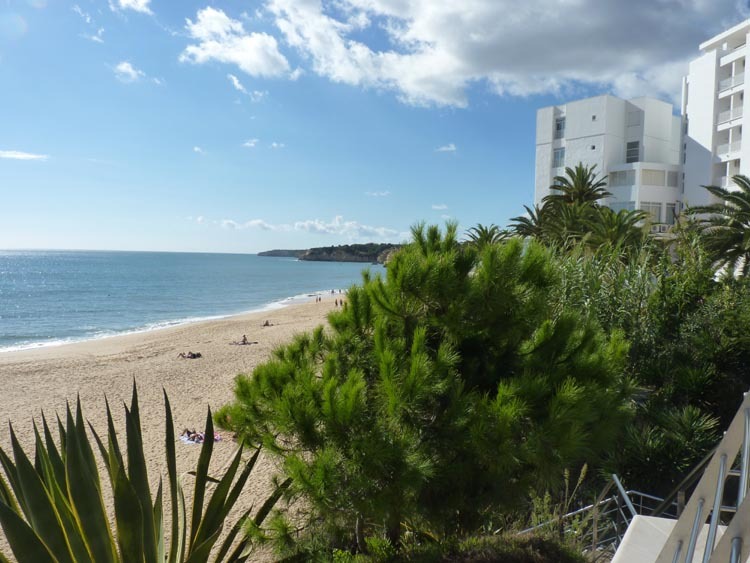 I am not feeling quite as apprehensive as I was thanks to the inspirational two-day residential Creative Writing course I’ve just attended at the Holiday Inn, in the Algarve. The course, presented by Anne Aylor, gave me some much-needed self-belief and rekindled my flame of creativity. The other course members also proved a great source of inspiration as they shared their experiences and writing exercises with the class. Anne, as well as being an excellent teacher is also a great motivator and I will certainly be going again next year! Both days were packed with a variety of timed creative writing exercises along with constructive feedback. To my surprise, I really enjoyed this and discovered a whole new approach to writing. My favourite exercise was Stream of Conciousness. For this exercise we were given the opening sentence from which we created our own story in ten minutes. During this time we were expected to write without stopping, not make any alterations or even pause to read what we had written. Yes, it was tough, but once I cleared my mind and let the thoughts flow my pen raced across the page without effort. My only concern now is the time aspect because I’ve since been enlisted to look after my little granddaughter in France for a week in November. Perhaps she can learn to type and give me a hand! The course sounds like fun. All the very best with the challenge! Good luck Pip, looking forward to reading your book! Sounds like a great way to get you motivated for your challenge. I wish you well. Sounds like a great preface for your NaNoWriMo endeavors, PiP! 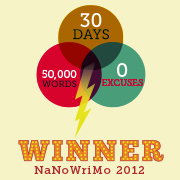 If you want to warm up your typing fingers for NaNoWriMo, you might enjoy this Halloween contest. If you win . . . 5 shiny new autographed children’s books for your grandkids! It is Halloween after all! Is she little enough to still have a nap? Probably not, and you’ll probably keel over with her if she is. Just a thought! On your mark… get set… GO! I saw you on Nano and have buddied you back!!! I’m already in November 1st here in Thailand so have officially begun my ‘validation’ count. It’s only at 209 so you can easily catch up. See you there! Hi Anne, yep here I go! Good spirits and good writing! May you go to bed each night and be able to smile to yourself in the darkness! I would say, let your granddaughter’s wonderful innocence give you an impetus to having her on your lap as ‘grandmother is making magic’!!!! Hi Eha, my little grandaughter would be pressing all the keys. I’d certainly get a good word count…well its 8.20am here better get started ! Oh my local beach! Thanks for reminding me of home…. will have to look into that course when I’m back living in the Algarve. Have a great day. Cath. Hi Lizzie, it’s next October. Would love to meet you! I’ll let you know if I’m back! I love CW courses, short or long! Way to go, PiP! Hope you enjoy this whole process. I think the hardest past is not editing as you go along. I’m not sure how I’ll manage that bit. Good luck. With all of you doing NaNoWriMo, I will edit. I hope! A new setting can fuel your creative juices. I hope your novel writing is going well. I never thought of doings days of stream of consciousness (soc) writing. I imagine that sometimes you come up with surprises. Are you as funny in your soc writing as you are on your blog? I have planned to write something on my blog everyday. So far, so good. I am amazed at how much time that takes some days. I Susan, it really depends what I´m writing about. On the course I surprised myself and wrote in different styles. The novel is actually is quite sad, but often with a hint of humour as to the way the main character actually deals with various situations. I hope it is a good mix and is certainly a great leaning curve. The SOC takes you into unplanned territories and it is amazing how the characters and story have evolved.